Bond with your little one as they delight in the joy and creativity of music. The first years of your child's life are the prime years for encouraging their creativity and exploring their imagination to help fully develop their potential. 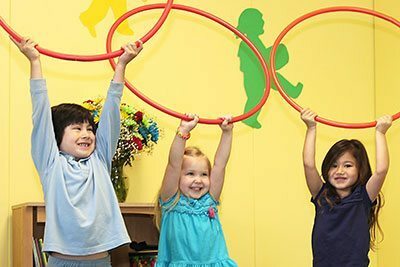 If you’ve been looking for a social, yet educational experience for your child, Kindermusik will open the doors to a whole new world of learning. With teachers who cherish their every step and nurture their development, these classes will soon become the highlight of your week! You’ll learn songs you can bring into your daily routine with your child and continue the fun and learning all week long. 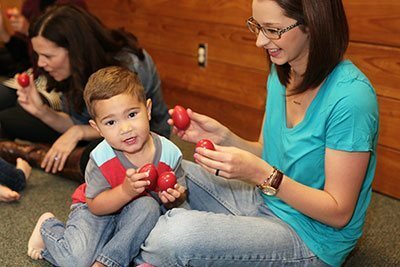 With these early musical foundations, your child will thrive - in fact, research has proven that immersing a child in music before the age of 7 has the ability to raise a child's IQ as much as 7.5 points! A perfect way to introduce your baby to music and movement while laying the foundation for lifelong learning. 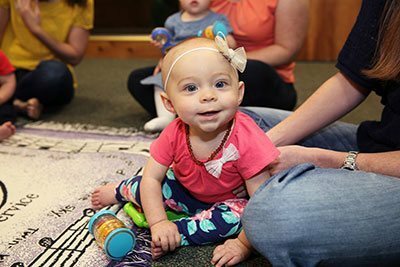 You and your little one will delight in new sounds, new activities and new people, all within the warm, loving atmosphere of a Foundations Class. Click to Learn More! A just-right class for your little wobbler who is on the move! 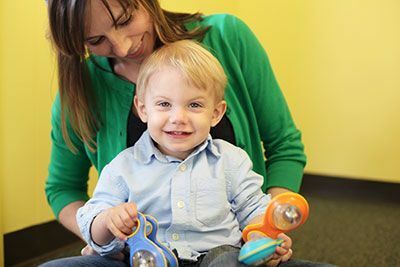 You will find so much joy in this active class as you watch your child who is beginning to walk, talk, sing, play, clap, tap, and dance—all on their own! Throughout each class, your Kindermusik teacher will give little tips to make parenting easier. Click to Learn More! Level 2 encourages your child’s budding independence through a comfortable class with his caring adult. We will celebrate the unique joys of your growing child through musical activities for you both. You will love watching your child blossom through the guidance of your Kindermusik teacher! Click to Learn More! Your child will thrive in a carefully crafted, research based music curriculum that is so much more than a preschool sing-along. 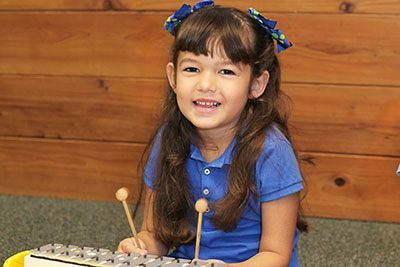 Preschoolers joyfully engage their love of music to foster their independence, social and emotional skills, language skills, and self-control. 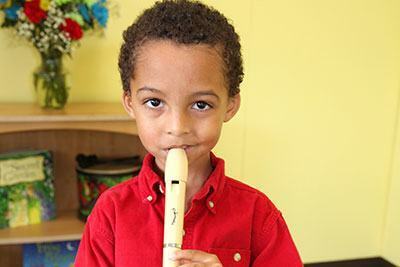 Their Kindermusik class will complement and enhance their preschool experience. Click to Learn More! Simply the best way to introduce your child to the written language of music. You will be amazed at the effortless way your child will joyfully learn to read and play music in a very age appropriate way, while building the foundation for more formal music lessons in the future. You will appreciate how your child’s love of music will be nurtured to insure a life-long enjoyment of music. Your child will simply thrive in a social, fun, and pressure free environment. Click to Learn More! Building upon Level 4, your child will continue the journey of reading music and creating the neural connections needed for music study. (If your child is 5 ½ and has not been enrolled in Level 4, there is enough review built into the curriculum for your child to begin in Level 5). After completing Level 5, the readiness for piano and other musical study is in place. Your child will thrive in his or her future musical study!! Click to Learn More!